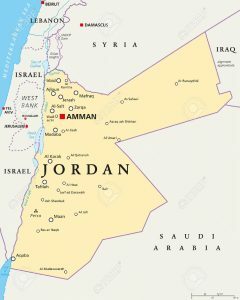 Traveling Tuesdays this week is visiting Jordan. Officially called the Hashemite Kingdom of Jordan, it is a sovereign Arab state on the East Bank of the Jordan River. It is bordered by Saudi Arabia, Iraq, Syria, Israel and Palestine. 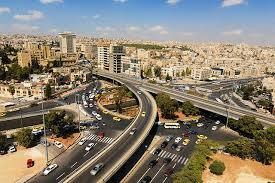 Amman is the capital city of Jordan. 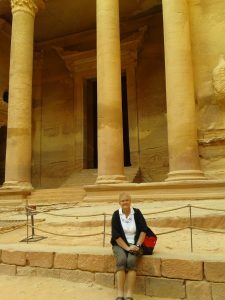 I had the opportunity to travel to Jordan on a number of occasions while teaching in Kuwait. 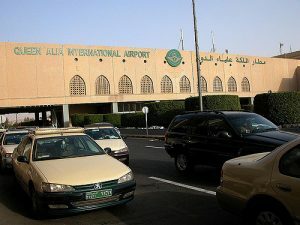 One usually lands at Queen Alia International Airport and grabs a taxi to travel to Amman. 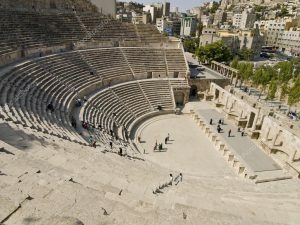 Amman is a modern city but by taking a bus tour one can see signs of ancient Roman times. A Roman amphi-theatre is located in the centre of the city and it is still used today. 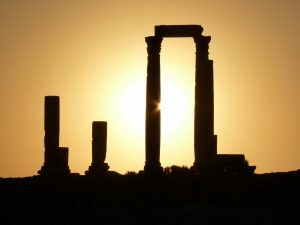 Traveling north of Amman one will can explore Jerash. 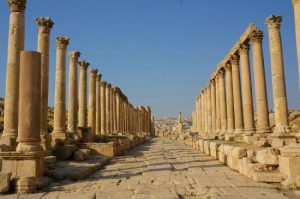 The Jerash ruins are said to be the best-preserved Roman ruins outside of Italy. 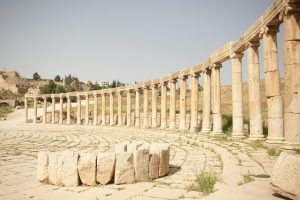 Jerash is a great day trip from the capital. 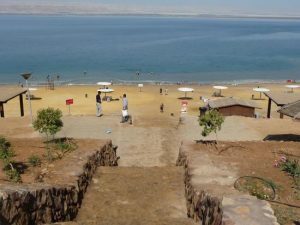 Another adventure to explore near Amman is a float on the Dead Sea. Here at the Amman Beach resort, I managed to find a sink hole and got my foot stuck in the mud. I had to kneel on the crusty rocks to pull my leg free and lost my shoe in the hole. I have scars on my shin to this day caused by the sharp salt crystals. The salt on my wounds hurt! 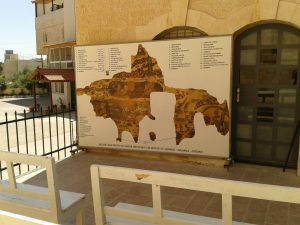 Nearby in Madaba we visited a church that has a mosaic map of Jerusalem on the church floor. On a stop in Jordan in 2013, I stayed at a B&B and I snapped this photo of the map posted in the courtyard of this hostel. One cannot visit Jordan without making a trip to Petra. 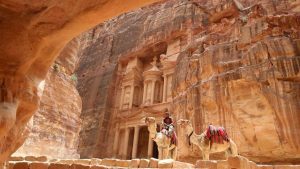 I have been to Petra at least three times. Here are some photos of this amazing place. 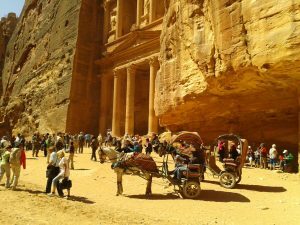 Jordan is one of my favorite places to visit in the Middle East.